We want your visit to be as exciting and enriched as possible, filled with new experiences that will make the most of your time in Cornwall. To help you plan your time in Cornwall, we've shared a few of our favourite places here to help you decide where to go and what to see. Don't hesitate to ask us more about these places, we'd be delighted to share our own experiences with you! Set within beautiful woodland and an area of outstanding natural beauty, St Nectan's Kieve is a spectacular, 60-foot waterfall and hermitage. A picturesque fishing village on the North Cornwall coast, discover pretty cottages, locally caught produce and some of the finest seafood eateries! Watch out for the Dr! An 18-mile path from Bodmin to Padstow that traces the River Camel along stunning riverside views and out to the estuary. Wadebridge is a popular starting point. A grand Georgian estate set within 50 acres of pasture, gardens and iron-age fort. Take a guided tour of the house and discover hidden passageways, statues and impressive interiors. Bude, Tintagel and Polzeath offer outstanding beaches where experienced coaches can get you started with surfing, paddle boarding and kayaking, whatever takes your fancy! 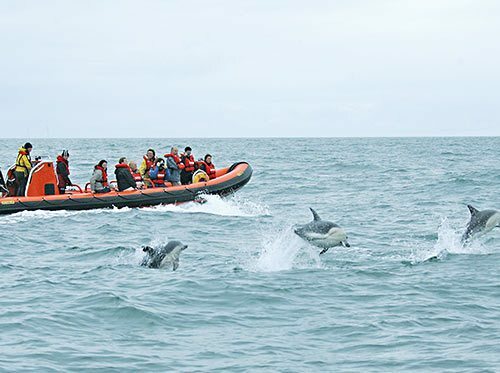 Take a boat trip from Rock or Padstow and see native wildlife such as Basking Sharks, Dolphins, Porpoises, Seals, Sun Fish and all sorts of sea birds including Puffins. The largest indoor rainforest in the world, immerse yourself in two biomes full of diverse plants, climates and environments of this eco park. Cornwall boasts an impressive 300 mile section of The South West Coast Path and offers spectacular views of rugged coastline and pretty villages. A magnificent late-Victorian country house with gardens and wooded estate. Take a walk through sprawling acres, different garden landscapes and enjoy a cream tea in the cafe, before exploring onwards easily to the A30. The north Cornish coast is famed for it's rugged, breathtaking views, and Trebarwith is no exception. There's a fantastic beach accessible only at low tide and Gull Rock - can you see the giant swimming through the sea? Take a wild walk on the moors for a truly Cornish experience - Poldark style! The walk itself doesn't take very long, but offers unmissable views across Bodmin Moor and over to Dartmoor. Free parking is a bonus! A beautiful beach famed for it's gentle tide and miles of beach, accessible even at high tide. Widemouth is popular with surfers - learners and professionals alike. A great place to learn to surf, unwind, swim or enjoy a picnic. 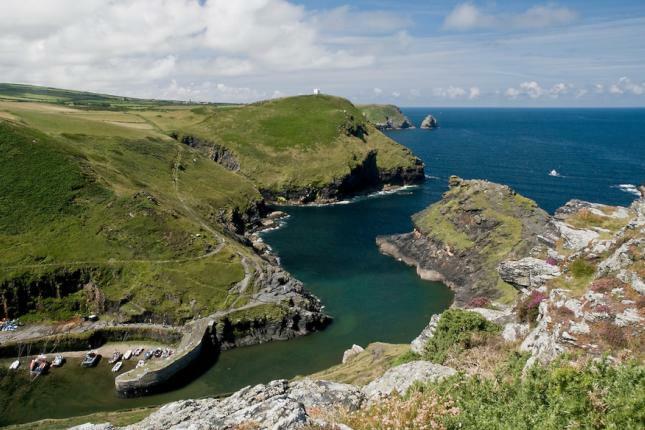 A picturesque harbour just a stones throw from the Old Vicarage, explore Boscastle's extensive history and cobbled lanes. The most perfect addition to a coastpath jaunt or lunch at Boscastle Farm Shop for lunch. A popular destination, and for good reason! Padstow is a treasure trove of Cornish goodies. Discover slipways and ships before tucking into fish & chips and ice-cream, you'll be spoilt! The ferry to Rock is absolutely worth it!